Last week I read an interesting post, What Could Possibly Go Wrong?, from fellow writer S of JSMawdsley. My initial reaction was one of surprise quickly followed by familiarity and finally relief. What S had written struck a chord with me because so many times I’ve wondered why I’m doing what I’m doing with my writing. My surprise came from the fact that so many writers play it close to the vest never revealing that the writing life isn’t going exactly as they had hoped. S put all her cards on the table by admitting that she wasn’t having fun and planned to rectify the situation by only writing what she wanted to write. I am familiar with her desire to maintain a quality blog as well as working myself into a tizzy over what to write. When S said she’d give half an hour every two weeks to writing posts, I thought either she’s committing blogging suicide or I’m insane for overworking it. For me, the fear on this subject stems from being told I must have an author platform to market myself prior to publishing my book. This is such a distraction and takes away from my writing time. By the end of S’s post, I felt encouragement knowing that I am not alone in my concerns. 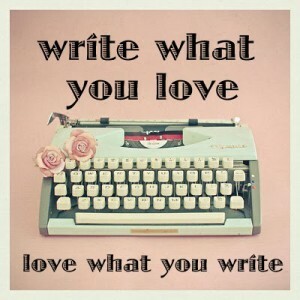 If she can refocus herself by only writing what she loves, so can I. I’d rather be ruled by my passion for writing than by my fear of falling social media stats. I guess what I’m trying to say is that if you are a writer, you’re not alone. In fact, musicians, photographers, painters, dancers, and all those who create art, it’s time to wrest your craft back from the hands of those who are more concerned with profits than they are with the creation process. Take inspiration from each other and step back to reassess when things go askew. Rediscover your passion, and then go forth and create.